IR Visualization Process | LoDo Media, inc. If you cannot see, hear, and feel your desired outcome you will likely never achieve it! Learn THE MOST IMPORTANT visualization techniques and how to use it to create a very real internal representation of EXACTLY what YOU want. Brain studies reveal that thoughts produce the same mental instructions as actions. Mental imagery impacts many cognitive processes in the brain: motor control, attention, perception, planning, and memory. So the brain is getting trained for actual performance during visualization. It’s been found that mental practices can enhance motivation, increase confidence and self-efficacy, improve motor performance, prime your brain for greatness, and increase states of flow – all relevant to achieving your best life! 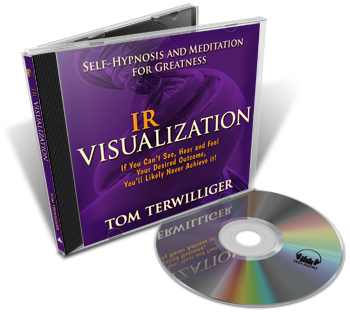 How Can IR Visualization Improve Performance in ALL AREAS of Your Life? REFOCUS: The IR Visualization techniques re-establishes focus helping you back on track, correcting errors, and reminds you about what is important. REINFORCE: As an additional form of practice to help master achieving your goal, IR Visualization will train your brain to recall thoughts and images of past and future successes that will be helpful in maintaining persistence and intensity levels. REFRESH: Many beneficial physiological responses include managing energy levels, reducing stress, and lowering blood pressure and lactic acid levels in the muscles and blood - prime your body and brain for greatness.